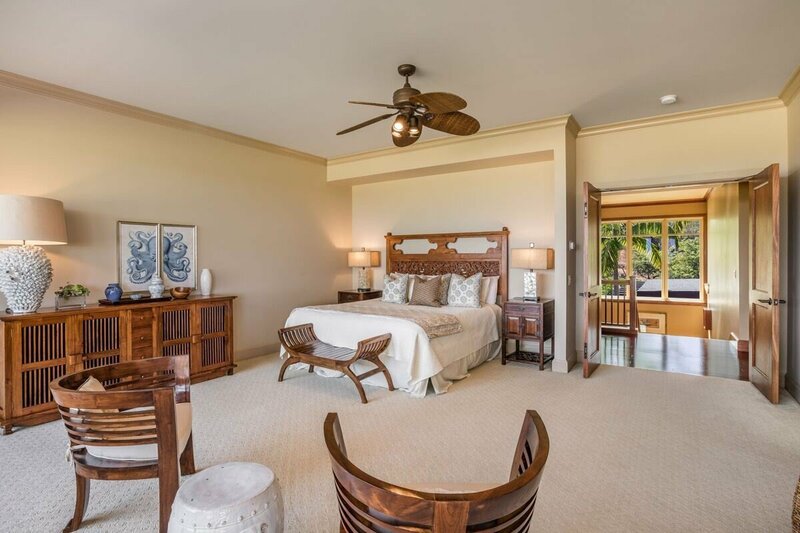 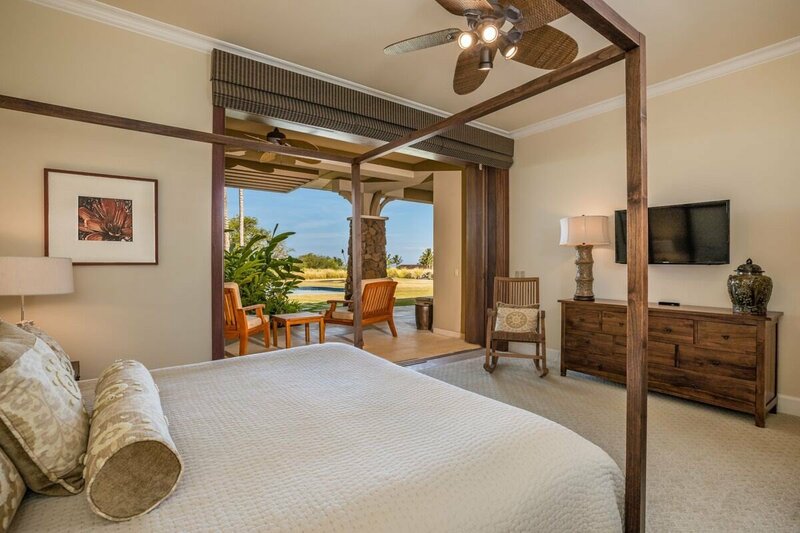 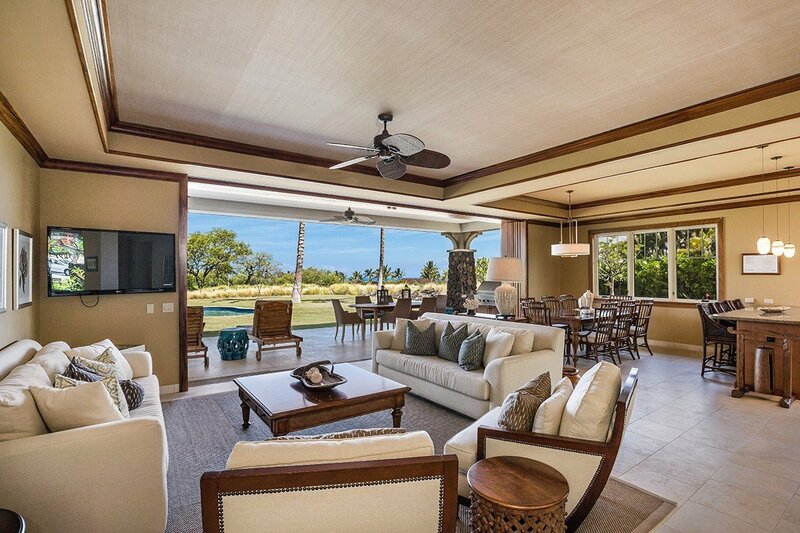 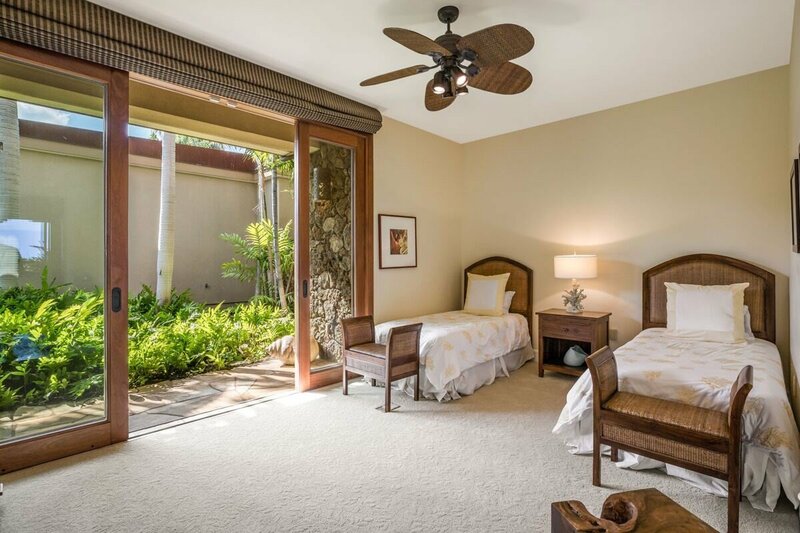 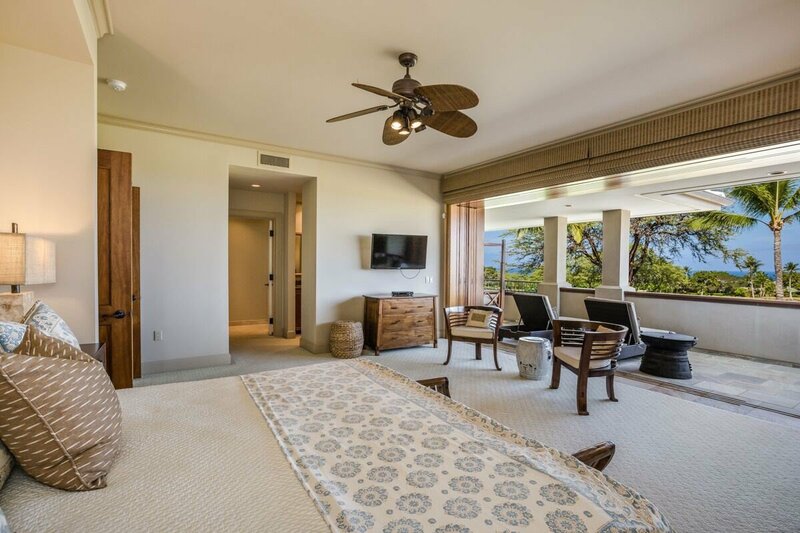 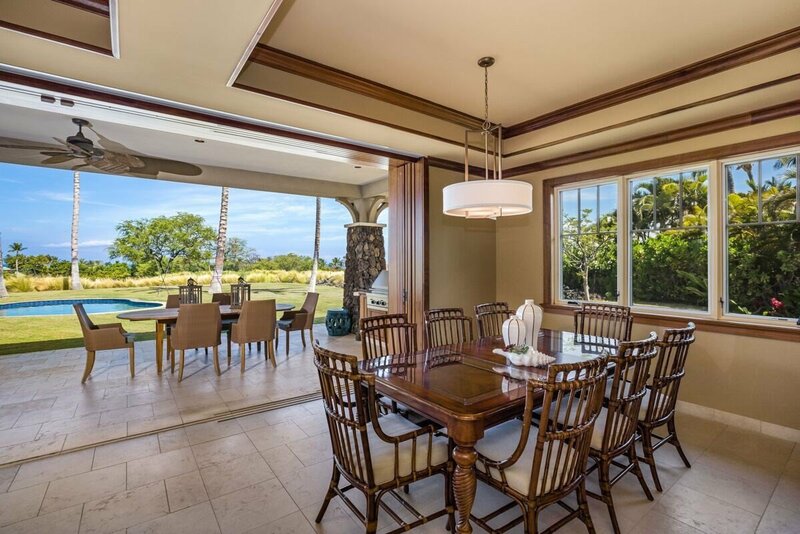 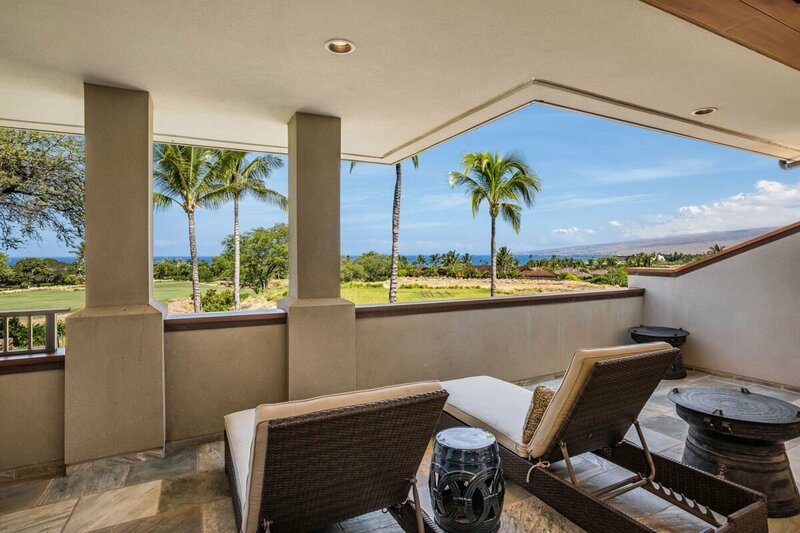 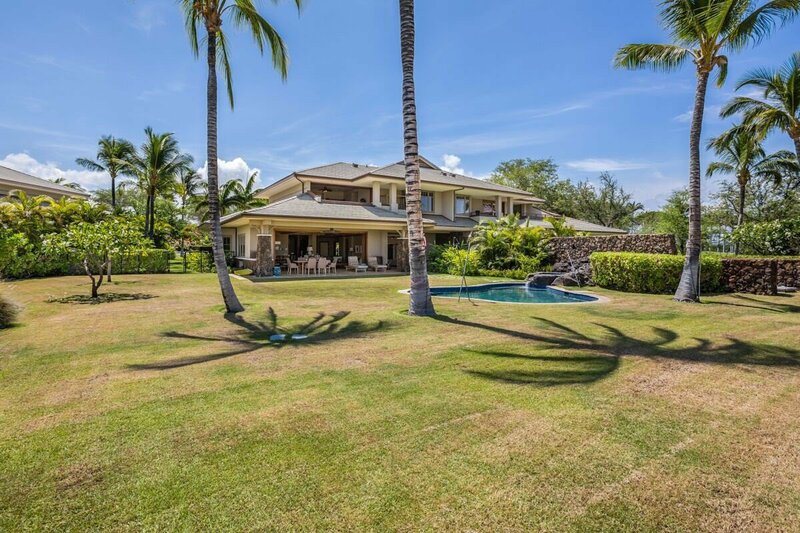 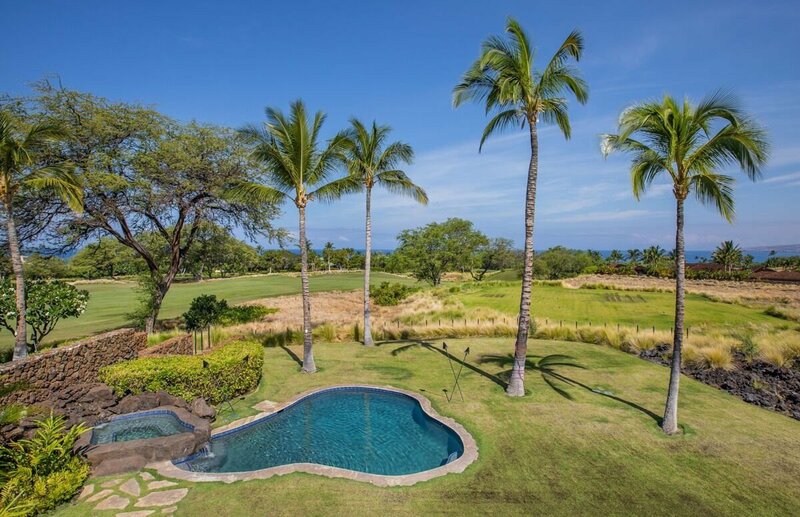 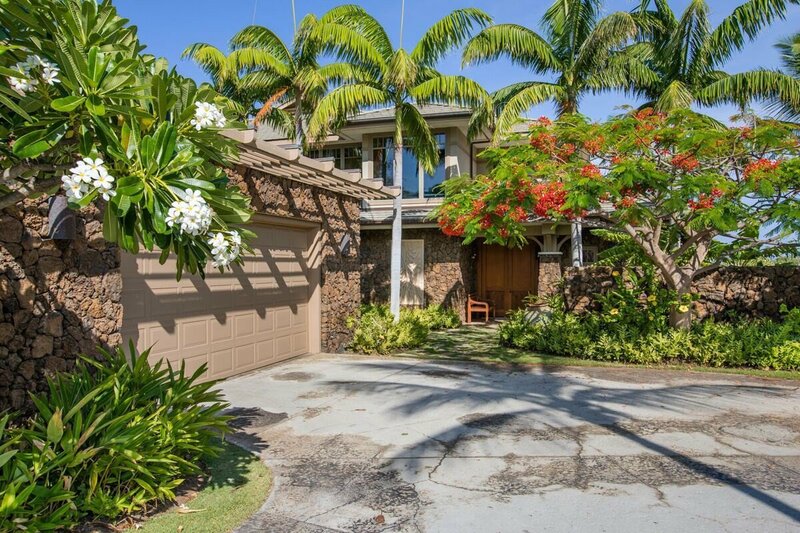 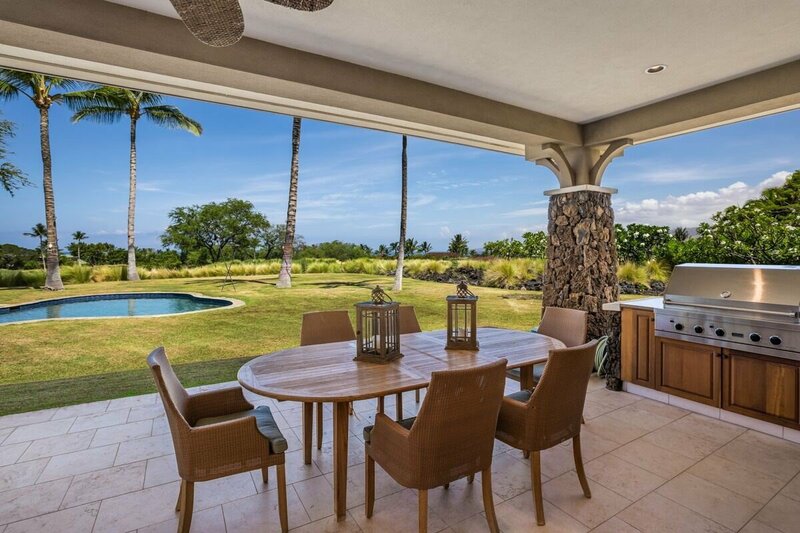 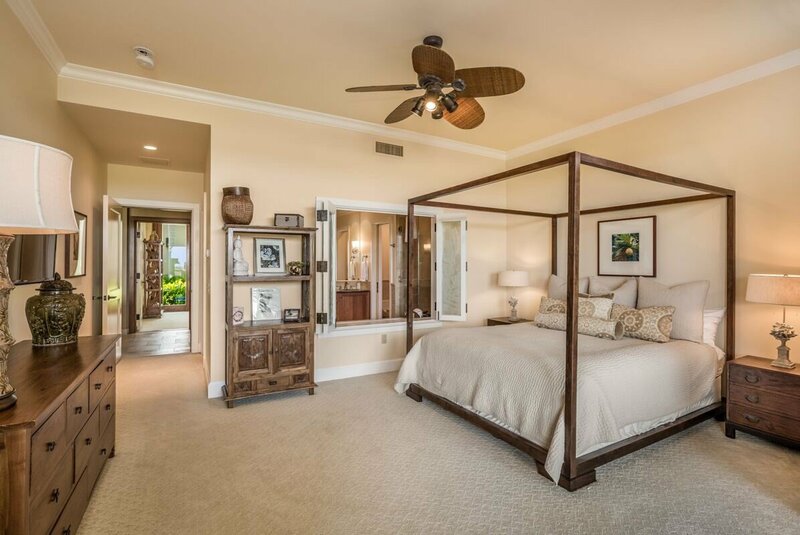 Hali’a Hale 10A is located on a quiet private cul de sac street and overlooks the 13th fairway of the Mauna Kea Golf Course while offering beautiful ocean and mountain views. 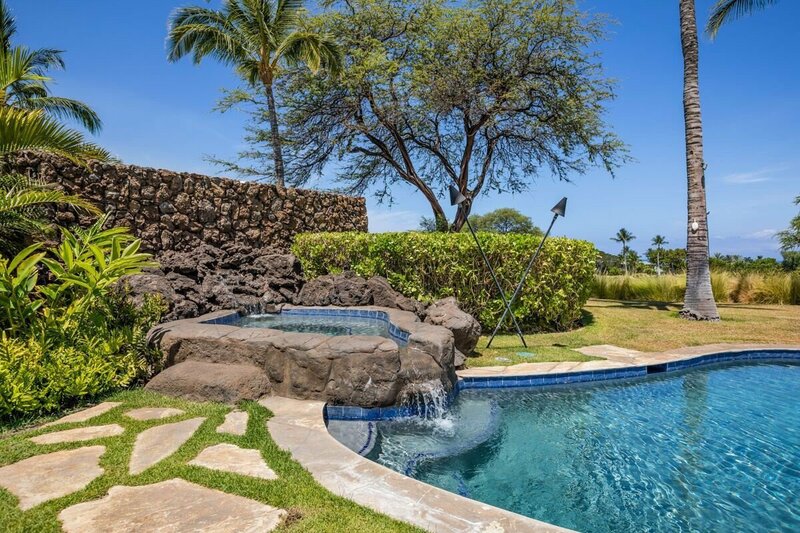 This unit has the largest private backyard of any of the Hali’a Hale townhomes with a private swimming pool/spa, waterfall and built-in BBQ. 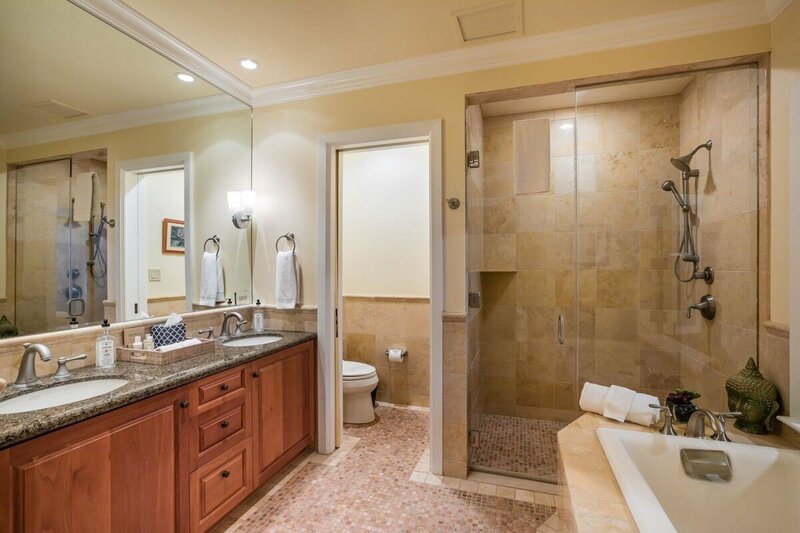 The townhome is being sold totally furnished in “move in” condition. 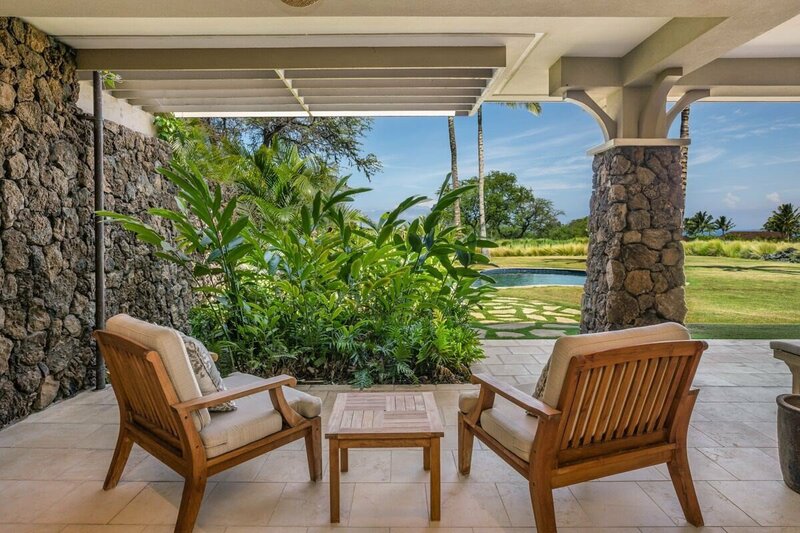 Strong vacation rental history with advanced bookings in place. 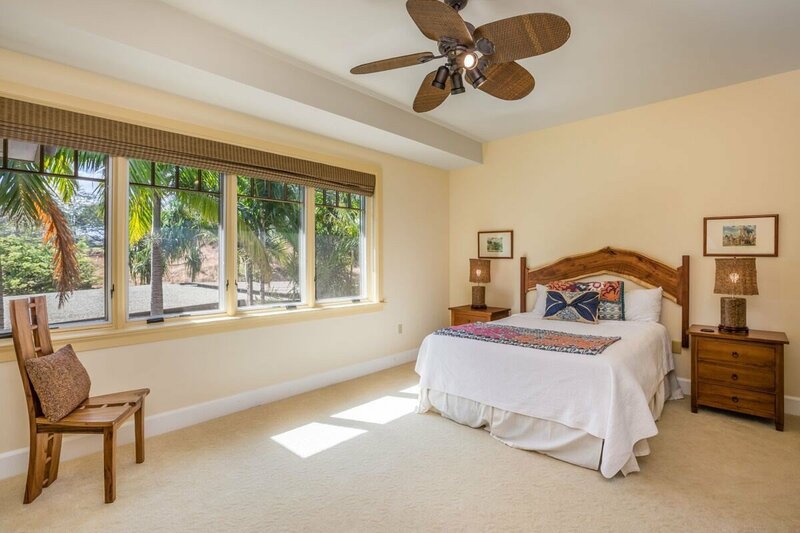 This 4 bedroom 3.5 bath unit has the size and feel of a custom single family home without the maintenance hassle. 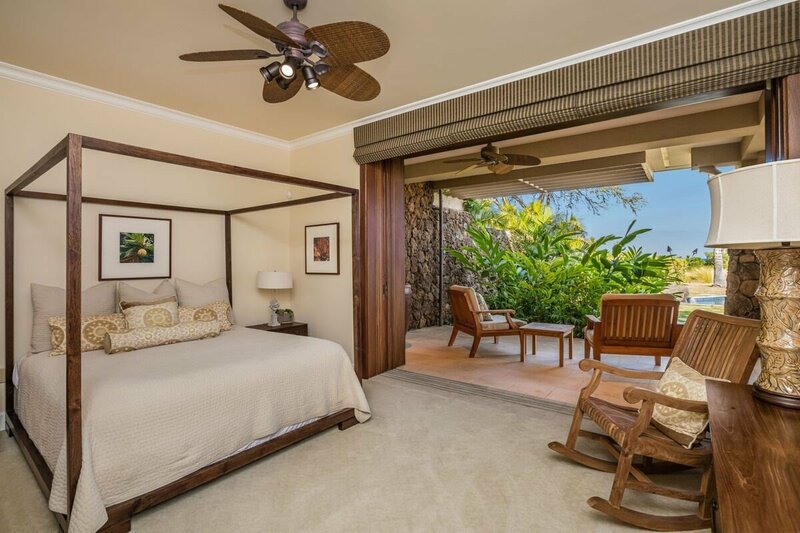 Hali’a Hale 10A has over 3,100 square feet of air conditioned space, 985 square feet of covered lanai and patio areas together with a 671 square feet two car garage. 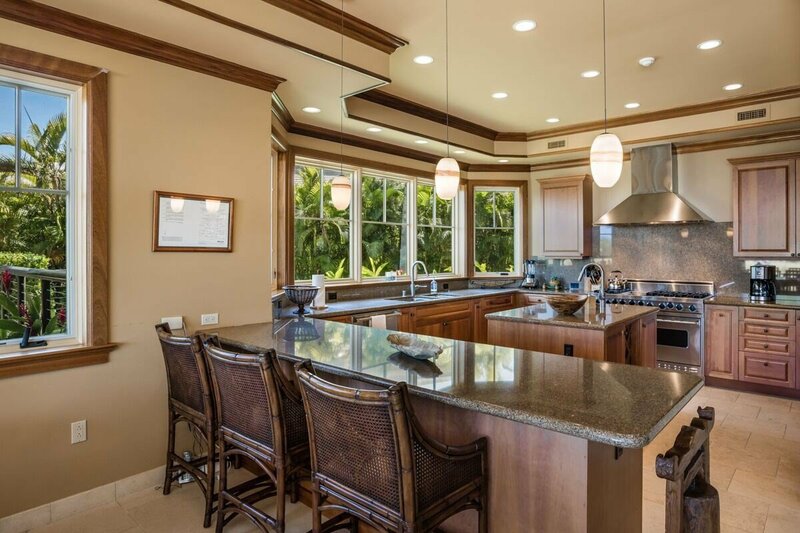 Features include stone floors, Birch cabinets, framed pocket doors, granite counter tops, 10’ high coffered ceilings with crown molding, Viking appliances, wine storage, stone showers, jetted tub, full size waster/dryer, built-in gas BBQ grill. 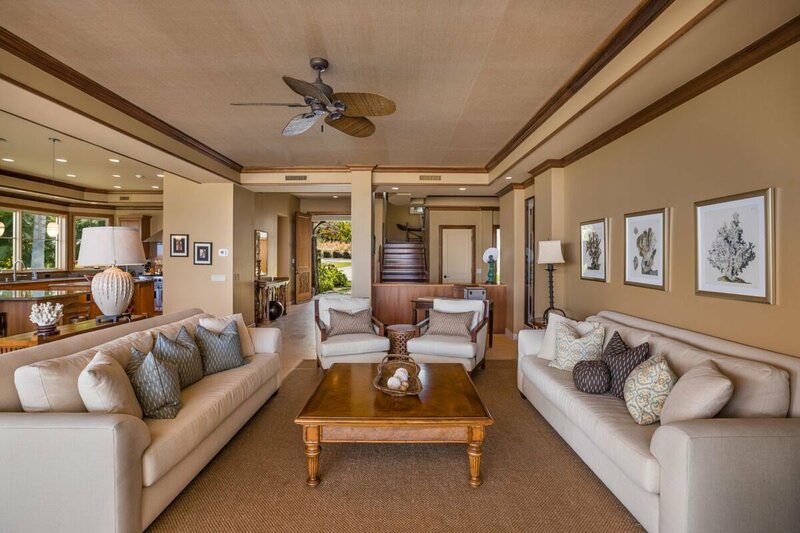 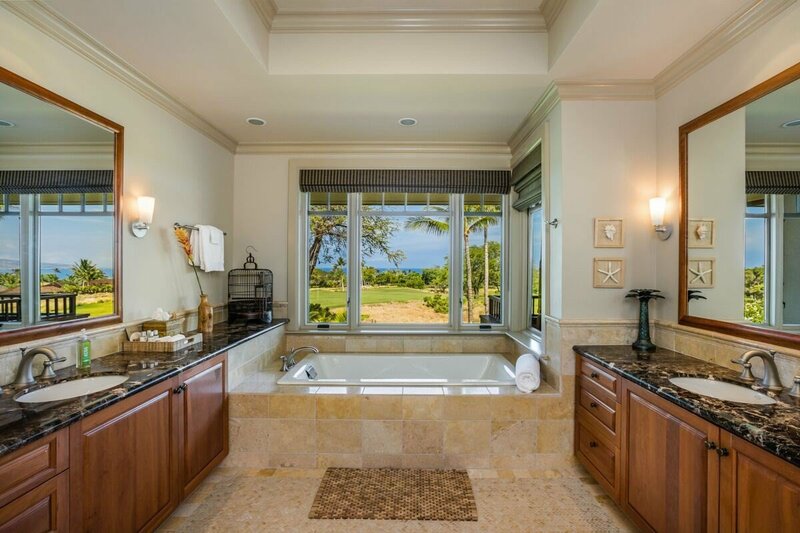 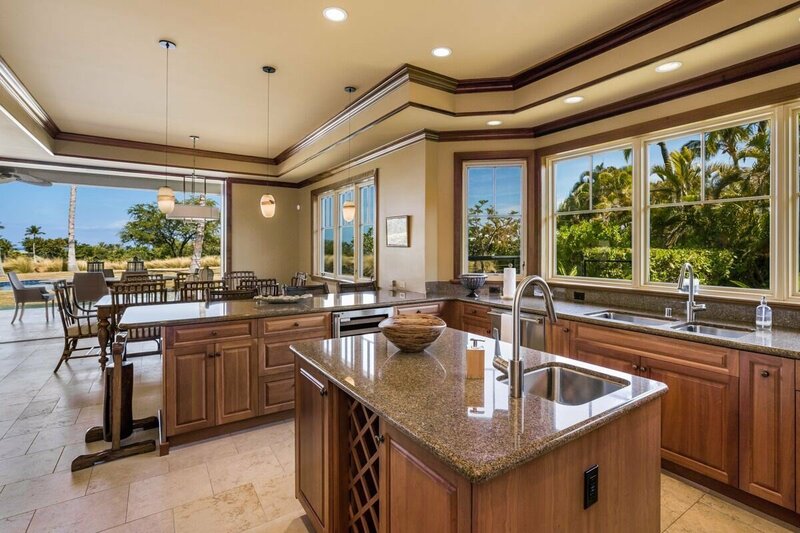 The tasteful design and finishes befit the best luxury homes in Hawaii. 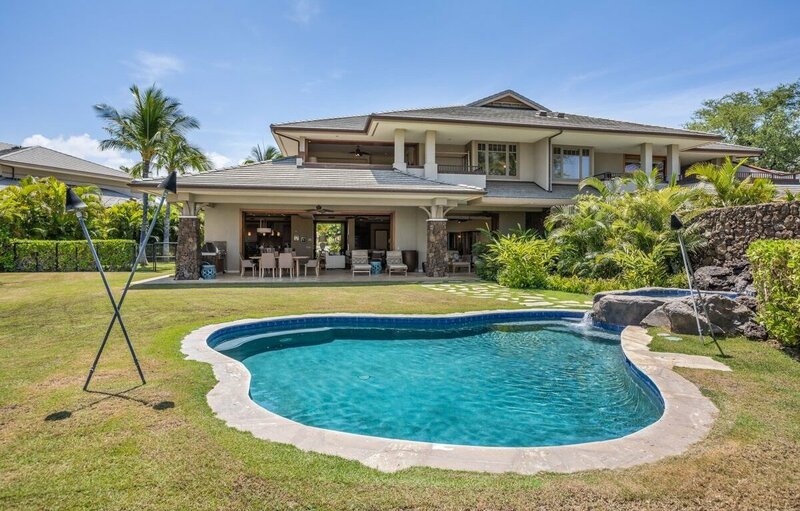 The private driveway entrance, large backyard and the custom shaped pool and spa contribute to the feeling of a single family home. 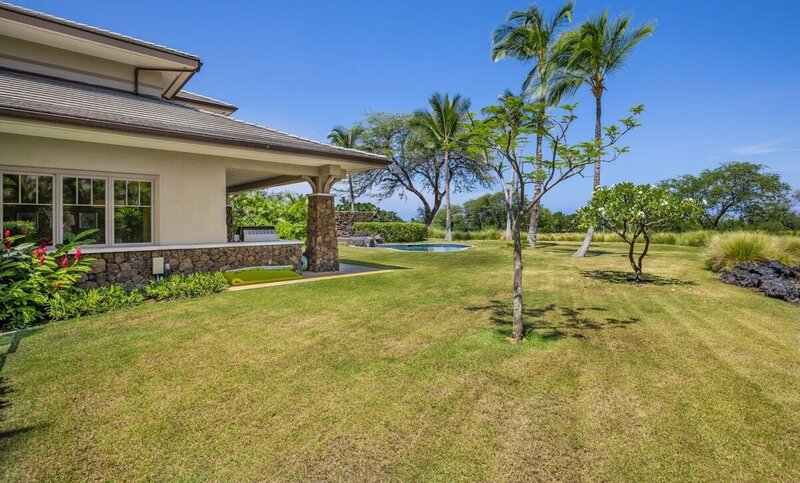 Seller owns the adjacent and contiguous vacant lot, Lot #28, which is also available for purchase along with #10A. 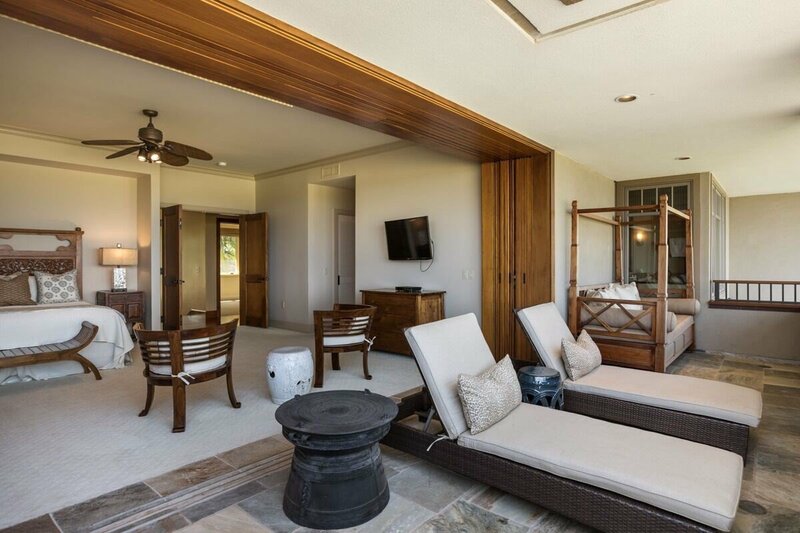 In addition to the Club at Mauna Kea with amenity opportunities that include golf, tennis, beach and pool access at two world class hotels, Owners at Kauna’oa enjoy the benefits of the Kauna’oa private club facility with fitness center, locker rooms, spa, meeting room, temperature controlled wine room, concierge services and a Weiskopf designed Par 3 golf course. 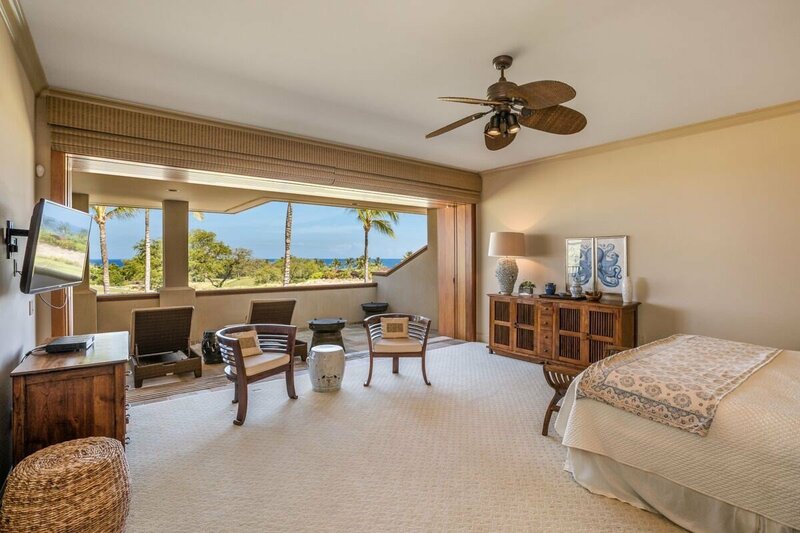 Owners and guests enjoy the convenience of being able to walk to Mauna Kea Beach or Hapuna Beach, two of the finest white sand beaches in Hawaii.